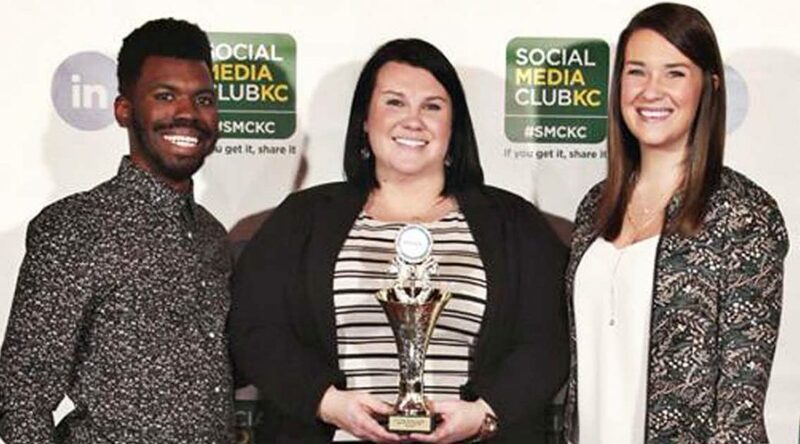 From left: Chandler Johnson, Erica Braker and Amanda Burian represented Unbound at the third annual SMCKC AMPS Awards. For the second year in a row, Unbound has been named a gold winner at the SMCKC AMPS Awards. The AMPS Awards are presented by the Social Media Club of Kansas City, the most active of Social Media Club Global’s nearly 350 chapters worldwide. 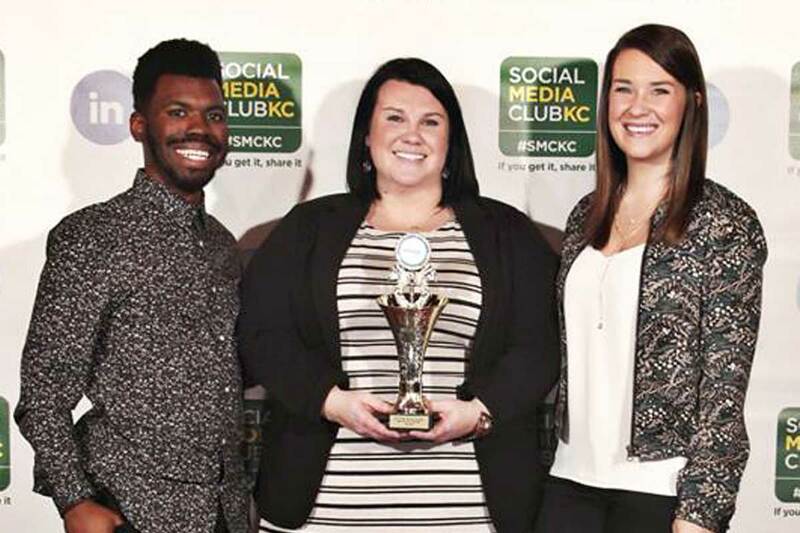 The awards, which are named for the word “amplify,” honor excellence in social media throughout Greater Kansas City. Unbound took home the gold in the nonprofit, in-house team, multi-channel category for our Giving Tuesday campaign. Our social media team exceeded the campaign donation goal by nearly 400 percent, raising more than $83,000 to fund scholarships for enterprising students around the world. Ralldy is a sponsored youth and Unbound scholarship student in Guatemala. The campaign highlighted stories of young adults, like Ralldy from Guatemala, who are fighting for their dreams to finish school and get good jobs to help support their families and communities. Donations to Unbound’s scholarship fund allow young people around the world to continue their educations in secondary schools, technical schools or university programs. By telling students’ stories through social media, Unbound opens the door to people who want to celebrate generosity. Last year, Unbound won a gold award in the nonprofit, in-house team, Facebook category for our Birthday Week campaign. The campaign highlighted children waiting for a sponsor during the first week of their birthday month. It led to 77 percent of the featured kids getting sponsored.